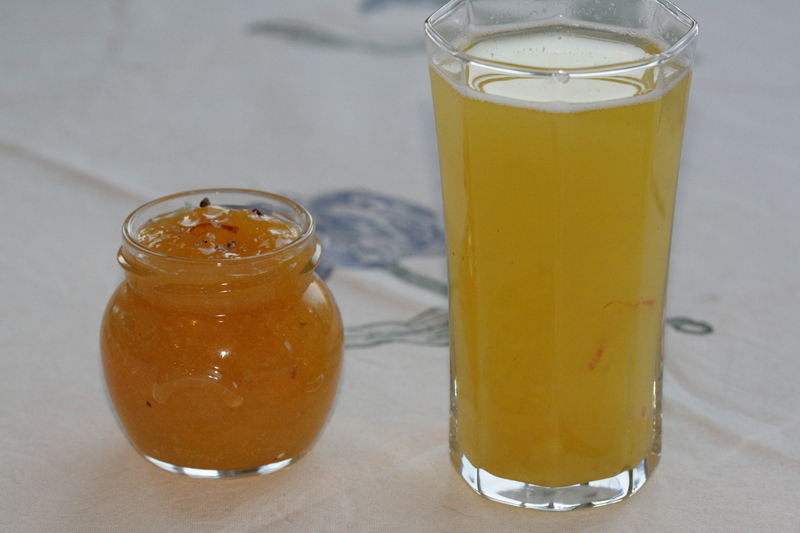 This post celebrates Raw Mango Agua Fresca, better known as Panhe in Marathi and Aam Paani in Hindi. The mango season in India is almost too brief for most mango lovers and it is made even more so by the very limited supplies that I can lay my hands on in the UK. I spend the rest of the year on memories of the season and counting down to the following year. This is a very simple recipe and the best way to make it is as per your taste. The spices are quintessentially Indian. Add as much or as little as you like. Quantities can be easily multiplied. The main role of the sugar is to act as a preservative. The amount to be used also depends on the variety and tartness of the raw mangoes used. Play around with the ingredients and have some fun. You can’t go wrong. Pressure cook the mangoes until tender. Discard the peels and seeds. Mash the pulp to an even consistency and keep aside. Mix the sugar and the mango pulp together until it is homogenous. Add the cardamom and nutmeg to this mix. Taste the jam like mixture and add more spices at this stage if you prefer. Add in the saffron and stir well. Let the mix rest for a few hours until the mixture turns from a pale lemon yellow to a more golden yellow. Your Panhe mixture is now ready to be stored in the fridge and enjoyed over the days or weeks to come. Add 1-2 tablespoons of the Panhe mixture to a tall glass. Top with ice cold water. This entry was posted in Mango feast and tagged aam paani, aam panha, agua fresca, cardamom, epicurious, Indian summer, kairi, mangoes, nutmeg, panhe, raw mangoes, saffron. Bookmark the permalink.